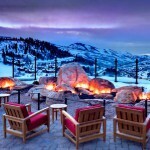 Forbes magazine just titled St. Regis Deer Valley THE new Après-Ski Hot Spot in North America. 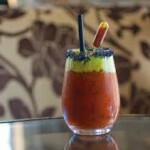 St. Regis offers the 7542 Bloody Mary Clinic. 7542 stands for the elevation. 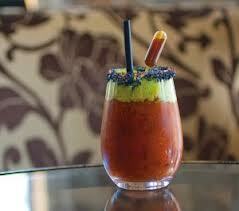 Guests are taught how to mix up the resorts most popular drink. Using wasabi, celery espuma and black lava salt, students are encouraged to show their skills with the resorts master mixologist. Clinics take place every Thursday from 4:30-5:30 from December 6, 2012 until April 11, 2013. Every evening at twilight guests at St. Regis Deer Valley can also learn the art of Champagne Sabering. You learn how to make any party fun with lessons from the resorts expert staff and of course the use of a real saber. After you have mastered the dramatic and impressive art of champagne sabering, guests are invited for a glass of champagne by the Garden of Fire. Lastly, the Chocolate Infusion Course will make a decedent treat at any time of day. Chef Jean-Georges Vongerichten from J&G Grill will instruct chocolate lovers how to make chocolate-covered strawberries, ice cream and other confections using liquid nitrogen in a creative and safe environment. As an owner of one of the St. Regis residences you can enjoy the best treatment as well as possible incentives. View all units for sale at St. Regis Deer Valley and call Park City Real Estate Agent Steve at 435-640-6966 for more information. 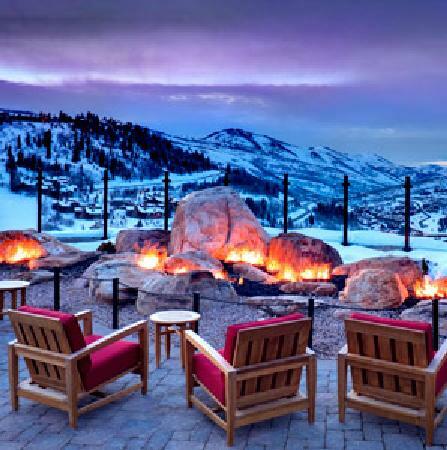 Posted in Featured Properties, Park City News, Park City Events, Deer Valley | 0 Responses to " St. Regis Deer Valley is the NEW Apres-Ski Hot Spot"
This year the 20th Luxury Home Tour will be held in Deer Crest - Park City, Utah. Deer Crest is a prestigious gated community that overlooks the Jordanelle Reservoir and Deer Valleys Snow Park neighborhood. Many of the home sites are situated directly on Deer Valley Resorts ski runs offering both stunning views and convenient ski access. The tour is a showcase of private luxury residences with the mission of making a positive difference and raising money for Peace House. Peace House is a charitable organization dedicated to ending family violence and abuse in the community through education, outreach, support services and shelter. Participants of the Luxury Home Tour will park and register at the Lower Deer Valley Parking Lot and may walk or take a shuttle to the St. Regis Deer Valley hotel. Participants will register and ride the St. Regis "Funicular" to the top of the hotel where they can enjoy light refreshments and an art exhibit. They will then board buses to transport them to the homes on the tour. Each Deer Crest residence is a unique architectural masterpiece that has been professionally decorated and carefully staged to reflect the owners discerning taste and varying interests. The Tour is also an opportunity to enjoy a relaxing day in the mountains. Attendees can enjoy spectacular views that few get to experience. The Tour also features professional musicians at each residence. Complimentary refreshments also add to the days enjoyment. Since transportation is included, attendees need only sit back, relax, and enjoy! Ticket price includes admission, transportation, refreshments, and official 2011 Tour Book. 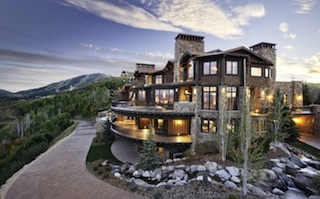 Posted in All Categories, Park City Events, Deer Valley | 0 Responses to "Luxury Home Tour 2011 - Deer Crest"
The 7th Park City Food & Wine Classics will take place July 7-12th. The event features over 100 wineries offering the opportunity to learn about the making, tasting and pairing of wines by sommeliers from around the world. In addition to providing wine education, the Park City Food & Wine Classic has always served as a fundraiser for local charities. This year's event will benefit the People's Health Clinic. Over 3,000 attendees are expected. 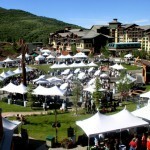 Posted in All Categories, Park City Events, Canyons Village | 0 Responses to "Park City Food & Wine Classics 2011"
Savor the Summit is one of the funnest summer events Park City has to offer. On Saturday, June 25th, the city will close Main Street for Park City's longest dinner party. Restaurants like 350 Main, Bistro 412, Riverhorse, Shabu, Silver, Zoom, Bangkok Thai, Ciseros Restaurante, Chimayo, Buena Vita, Blue Iguana and many more will participate in creating the Grande Table on Main Street. Live Music will be played in various locations. Tickets for the event can be obtained at your restaurant of choice. Seats are limited - Event sells out fast. The restaurant of my choice this year is Bistro 412 which provides delicious French-American Cuisine. Tickets are $80 for the 4 course dinner; $100 with wine pairing. Contact me if you are interested in tickets for Bistro 412 or visit the restaurant and ask for Annett. Savor the Summit is a unique celebration of food, drinks and live music while seated in the middle of Main Street. 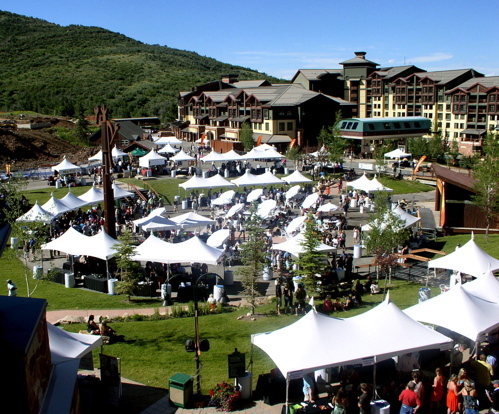 Posted in All Categories, Park City Events | 0 Responses to "Savor the Summit 2011"
This year Deer Valleys annual music festival will run July 16 to August 13. Location is the Snow Park Lodge amphitheatre, St. Marys Church as well as Temple Har Shalom. Tickets will go on sale for Summit County residents this Saturday, March 19 at the Bellemark Building on Sidewinder Drive. Bring your Summit County ID or current utility bill to get a 20 percent discount. General Public Sales begin March 21, 2011. Posted in All Categories, Park City Events, Deer Valley | 0 Responses to "Deer Valley Music Festival - Line Up 2011"
The Park City Museum is offering a fun way to learn about Park City Utahs mining history: a guided tour on skis. You will experience one of the best history lessons skiing by the remains of shafts, process plants, ore bins and cages where miners used to pull silver and zinc out of the mountain. Tours are free for Park City museum members. Adult intermediate skiers only. You can become a member of the Park City Museum and help preserve, protect and promote Park City history. Memberships start at $55 for individuals and $100 for families. Tours will continue in the summer as hiking tours. 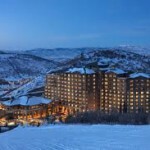 Posted in Uncategorized, All Categories, Park City Events | 0 Responses to "Park City Museum offers To Learn History on Skis "
The first 50 guests that sport St. Nicks attire at the Canyons Resort tomorrow, December 18, 2010, will ski or ride for free. Guests must be in FULL costume. Half Costumes are not accepted. 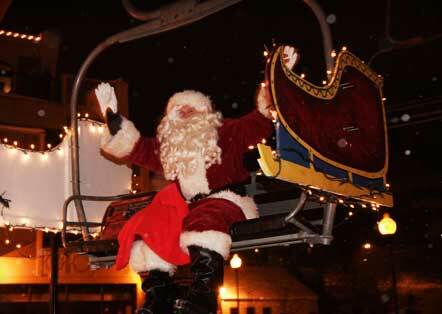 At 6:15 p.m. Santa will then arrive at Park City's Town Lift. People will gather at the plaza. 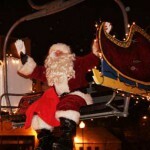 They can then see lights on the chairlift coming over the hill on the chair lift until Santa appears. It is a great event. Kids are cheerful and waving-welcoming Santa in Park City. Kids will have a change to talk to him and take pictures. Posted in Park City Events | 0 Responses to "Ski Free at the Canyons & Santa on Main"
The annual Sundance Film Festival brings Hollywood to the hip ski town of Park City. 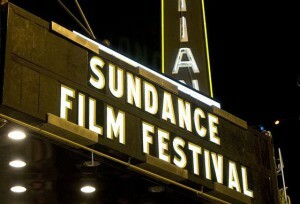 The 11-day celebration will take place January 20 - 30, 2011 showcasing the best of independent film-making. If you havent participated in the festival before, you should definitely do so this time. Movies will be shown at the Eccles Theatre, Egyptian Theatre, Holiday Village, the library on Park Ave, Prospector Square, the Yarrow, and Redstone Cinemas. Other locations include various theatres in the Salt Lake Valley and Sundance Resort in Provo Canyon. Many of the movies are world premiers with the cast and director in attendance. Most movies will not be in the theatres for another few months to a year. All individual tickets and waiting list tickets are $15. Box offices are located in Park City at the Gateway Center and in Trolley Square in Salt Lake City. Register today online and purchase a time slot until December 20, 2010. Starting at January 17, 2011 you can purchase available tickets at the ticket offices as well. Besides watching movies you can extend the festival experience outside the theatre. Stroll on Main Street and see some celebrities walk around. Visit the Sundance House, Panels, Sundance Music Café or various other locations where you can possibly meet film makers, and view discussions. One tip: Dress Warm! It is usually very cold at this time of the year. Parking does not exist during the busy Sundance Film Festival. Use free shuttles that travel frequently between 7 a.m. and 2:30 a.m.
Posted in All Categories, Park City Events | 0 Responses to "How to Sundance"
Deer Valley Ski Resort is celebrating its opening day with hosting its 19th annual celebrity ski fest this weekend (December 4-6th, 2010). It is a fun event featuring Olympic ski legends and celebrities from television and film. The Celebrity Challenge is Saturday at noon. The head-to-head Pro-Am race Sunday at noon. Some of the celebrities include Trevor Donovan (90210), Hill Harper (CSI:NY), Ian Ziering (90210), Bob Woodruff (ABC News) and Olympians Phil & Steve Mahre, Tommy Moe and Heidi Voelker. The event will take place on Birdseye ski run at Silver Lake. 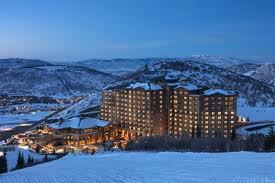 Deer Valley is the number 1 Ski Resort in North America. Posted in All Categories, Park City Events, Deer Valley | 0 Responses to "Deer Valley Ski Resort Opens Today with Celebrity Ski Fest"